The entries for the 2013 Five Fabric Challenge were amazing this year! It's almost overwhelming to see the various designs that are submitted. The task of finding the top three and picking a winner is difficult. The selection panel always struggles, but we think the winning design will be a crowd pleaser for sure! Congratulations to designer Michael Michalski, the 2013 Five Fabric Challenge winner for his entry Keystone. Michael is a two-time recipient of the challenge award. His previous winning design, Prairie Window, is available in the Ricky Tims Online Store. 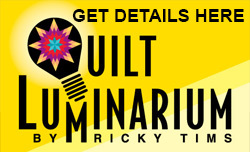 Michael will receive $500 for his design and Ricky Tims Inc. will publish the pattern for this stunning quilt. 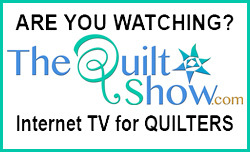 The pattern for Keystone, a 42" x 42" wall quilt, will be available in late summer. 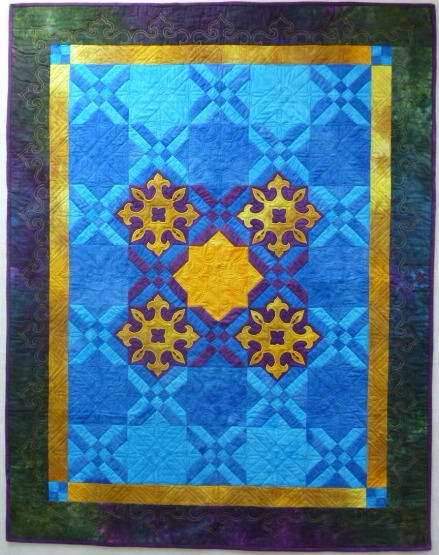 Michael says, of this quilt, "This design began with finding different ways to frame blocks using Courthouse Steps as alternate blocks. I found interlocking shapes I thought of as 'keystone' (it reminds me of the Pennsylvania state symbol) and picture frame. Then stars were chosen to enhance them." Second prize, and a $250 Ricky Tims Store Shopping Spree goes to Patti Brown, creator of Rhombus Rumble 40"x40". 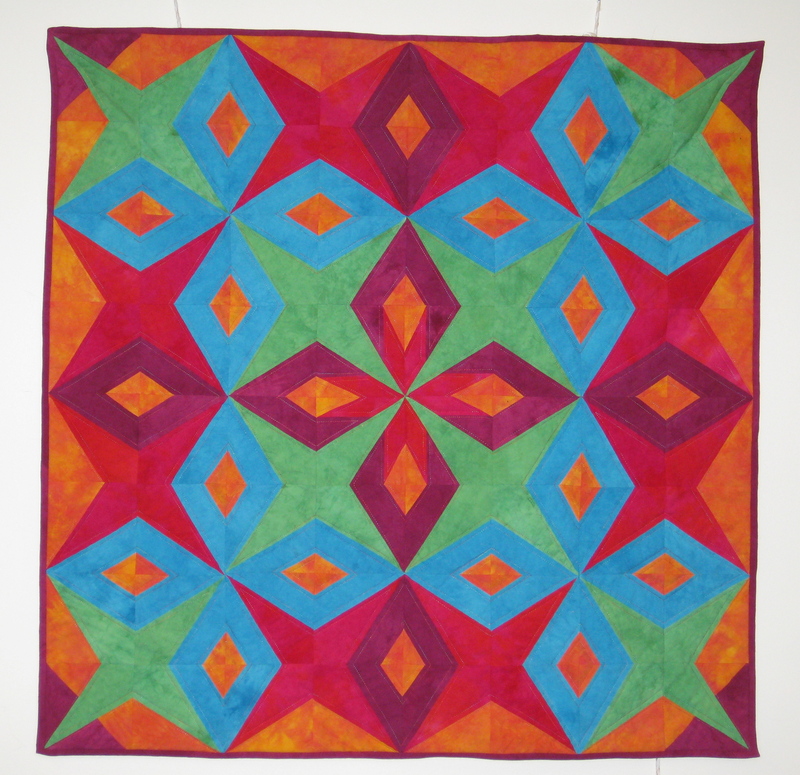 Patti's quilt is paper pieced from 14 different block designs made up of 4, 5 or 7 pieces of material. Each block finishes at 5" square. Third prize, and a $100 Ricky Tims Store shopping spree goes to - Cindy Briggs for Old World Reverie, 53" x 41". 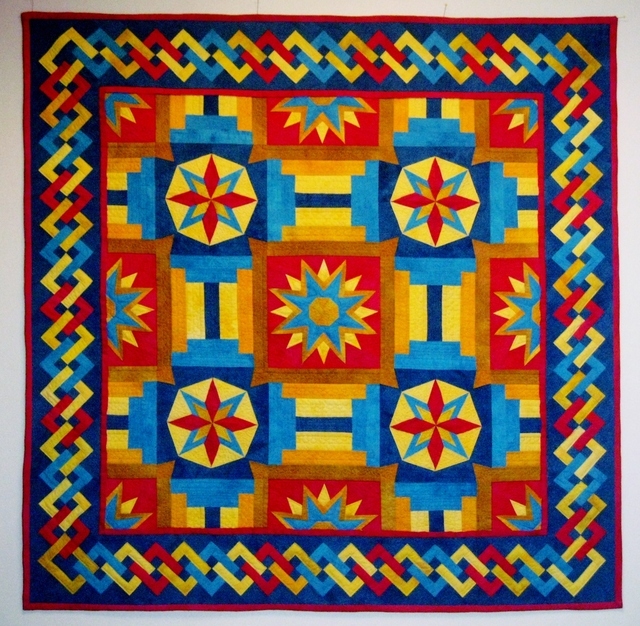 Cindy says, "I wanted to reflect on the old world charm and opulence of the good old glory days....I feel that this piece evokes the charm and glory of the past, while being fresh and new for today's quilters." Start working now. Who knows? 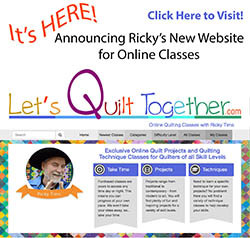 You may be the 2014 Five Fabric Challenge Design Contest winner! Love the colors in Keystone!